Smartphones are made to make our work and social lives more efficient. We can send quick messages, make phone calls, and check emails from virtually anywhere and get a response almost instantly. They’re also a growing source of entertainment with millions of games and social apps like Facebook and Instagram to make connecting with friends and family fun and easy. 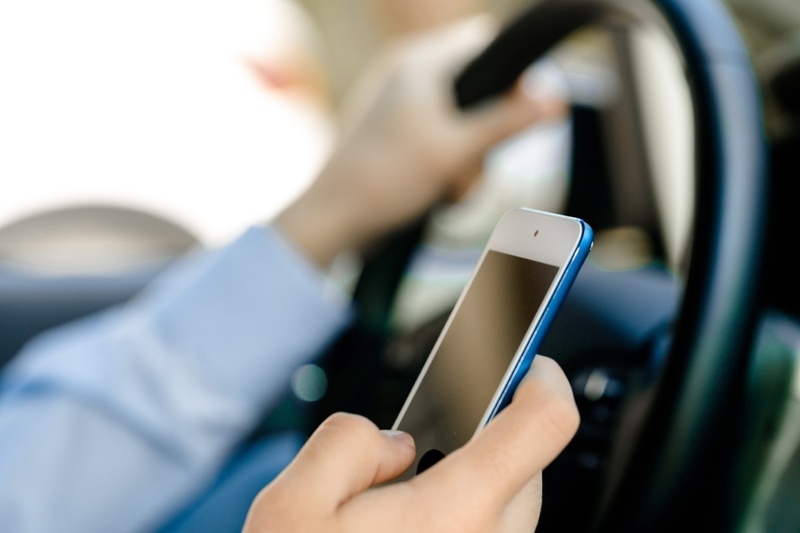 Our smartphones do so many things to keep us connected, but when an individual chooses to use their phone while driving, they put the lives of those around them at risk. Driving requires an individual’s full attention to safely navigate a car from one place to another. It’s the most dangerous form of transportation known to man, accounting for nearly 80 percent of passenger deaths per 100 miles. More often than not, distracted drivers are the cause of these deaths and can be distracted in more ways than one. Manual distractions involve taking our hands off of the wheel. Visual distractions happen when we remove our eyes from the road. Cognitive distractions involve thinking of things other than the task of driving. Manipulating a smartphone combines all three types of distractions, making it the most dangerous distraction for any driver. Cellphone distractions account for 1.6 million car crashes every year as a result of drivers making phone calls or sending texts. Wrecks caused solely by texting injure an average of 330,000 individuals each year. The rise in popularity of social media, live video, and selfie culture make the risk of being distracted by a smartphone higher than ever. Phone use isn’t the only distraction drivers face on the road. Things like eating, drinking, and smoking are common forms of manual distraction that people do everyday. Combing hair or putting on makeup are combinations of both manual and visual distractions. Other things like pets, other passengers, and outside events can also be major forms of distraction. Any distraction—whether it’s manual, visual, or cognitive—can cause a driver to wreck, injure, or even kill pedestrians or passengers of other vehicles. It’s never just an accident to be distracted. It’s the driver’s choice to redirect their attention on something else. Choosing to be distracted while driving is a form of negligence that has hurt or killed thousands of people across the United States. Any driver that causes a crash because they were distracted is responsible by law to compensate those they have injured or damaged the property of in the wreck. There’s no reason why a person should suffer for another’s willful negligence. I urge you to seek help immediately if you or someone you love has been injured or killed in a crash caused by a distracted driver. West Virginia’s statute of limitations on injury claims only lasts for two years with few exceptions. Don’t wait to get help if you know or think you might have a case. Reach out to an attorney in your area. If you’re in West Virginia and need an attorney, please give us a call at your convenience at (304) 296-3636 or schedule your free consultation below to review the facts and circumstances of your case as well as discuss your options. Whether you've recently been injured in a car wreck or would like to be prepared in the event of one, these 10 helpful tips will guide you through the post-crash process at whatever stage you're in. Click the link below to download your free guide to your smartphone, tablet, or computer. © Copyright 2014 Hamstead, Williams & Shook P.L.L.C- Website by Em-Media, Inc.